Happy New Year From The Belgravia Centre! Belgravia Centre Hair Loss Blog > Blog > Hair Loss > Happy New Year From The Belgravia Centre! Wishing you a happy – and hairy – 2019! 2018 has gone by in a blur of activity here at Belgravia’s Central London and City of London hair loss clinics! Our specialists have been giving hair loss advice in publications as diverse as Men’s Health, Business Insider UK, Hello! magazine and Gentleman’s Journal. We launched a number of new advertising campaigns, which have all been well received, as well as filming new client testimonial videos. As ever, our dedicated teams have been working hard to ensure the smooth and effective treatment of all our clients, both those who visit our centres in person and for those who follow our home-use hair loss treatment courses – wherever in the world that may be. Most notably, however, we have also been busy moving the Central London clinic from its original stately Victoria premises to a state-of-the-art location five minutes walk from Victoria Station, in Pimlico. 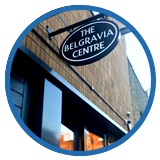 The new Belgravia Centre is located on leafy Longmoore Street, and offers clients and visitors the chance to experience our modern facilities in a tranquil, spacious setting, seven days a week. Belgravia’s City of London hair clinic, opposite Liverpool Street Station, remains as popular as ever, as do our exclusive food supplements for healthy hair growth, Hair Vitalics. These can be purchased directly from either of our London centres, or from the dedicated website – hairvitalics.com – so that non-clients all over the world can buy Hair Vitalics online. There is plenty more news set to come in 2019 as Belgravia, but for now we simply want to wish you all a very Happy New Year. If tackling thinning hair is on your New Year’s Resolutions list, get in touch now to arrange your free consultation – either in person or online if your location means you are unable to visit us. Belgravia’s team of professional specialists will be able to diagnose your condition and tailor a personalised hair loss treatment plan to your specific needs so you can get start making headway as soon as possible.